It is a given that I read aloud to children multiple times a day. I know, and you know, that it makes a difference. In this blog post, I will address more than reading aloud – combining what really happens and why, with facts and stories from The Read-Aloud Handbook by Jim Trelease, and real events in my classroom. Reading is the heart of education. The knowledge of almost every subject in school flows from reading. One must be able to read the word problem in math to understand it. If you cannot read the science or social studies chapter, how do you answer the question at the end of the chapter? 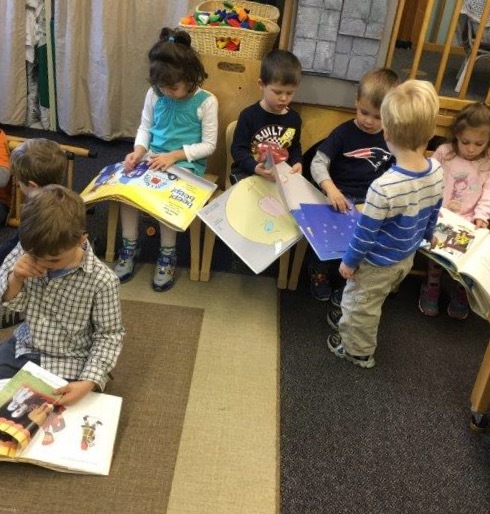 Every kindergartener wants to read. By fourth grade, 54% read something for pleasure every day. By eighth grade, 30% read for pleasure daily. By twelfth grade, it’s only 19%. Those numbers are sobering. Let’s back up to Kindergarten. What happened? How can eager children who want to read not read? The one pre-kindergarten skill that matters above all others, because it is the prime predictor of school success or failure, is the child’s vocabulary upon entering school. Yes, the child goes to school to learn new words, but the words s/he already knows determine how much of what the teacher says will be understood. Since most instruction for the first four years of school is oral, the child who has the largest vocabulary will understand the most. School-entry vocabulary tests predict so, accurately. First, there is the Listening Vocabulary. That’s where it begins. Pour enough words into the child’s Listening Vocabulary and it will overflow into the Speaking Vocabulary. 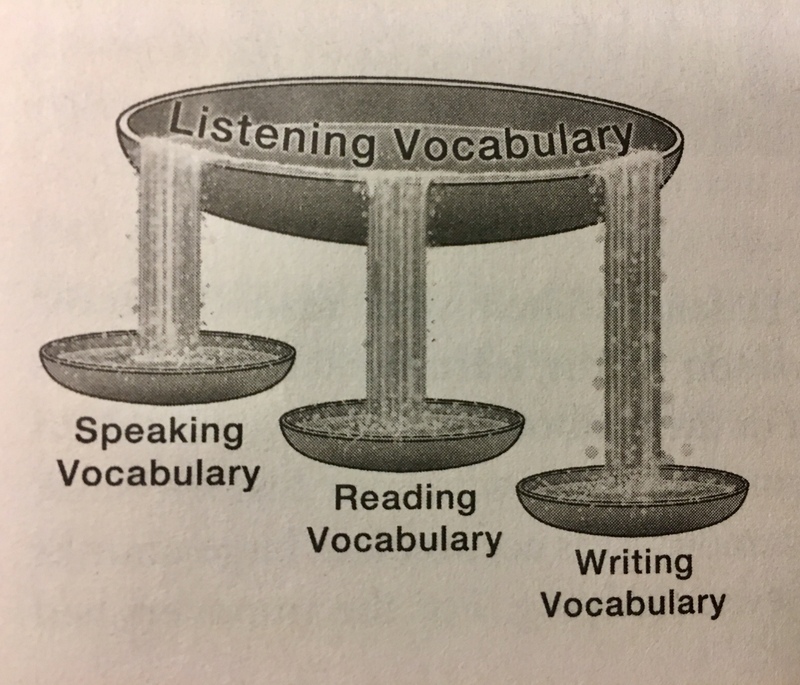 Keep pouring in those words, and they overflow from the Speaking Vocabulary into the Reading Vocabulary. The last vessel to fill is the Writing Vocabulary. All the language arts flow from the Listening Vocabulary – and that has to be filled by someone besides the child. Simple. What do the best readers have in common? The frequency of teachers reading aloud to students. The frequency of sustained silent reading (SSR), or pleasure reading in school. Children who had daily SSR scored much higher than those who had it only once a week. In it’s simplest form, SSR allows a person to read long enough and far enough that the act of reading becomes automatic. Younger readers show significant improvement in both attitude and skills with SSR. “Poor readers,” points out Richard Allington, a leading researcher and former president of the International Reading Association, “when given ten minutes a day to read, initially will achieve five hundred words and quickly increase that amount in the same period as proficiency grows.” And by third grade, SSR can be the student’s most important vocabulary builder. Reading aloud is not enough. I have come to understand that I need to give children the freedom to practice reading on their own, to touch and love books, silently reading. SSR. 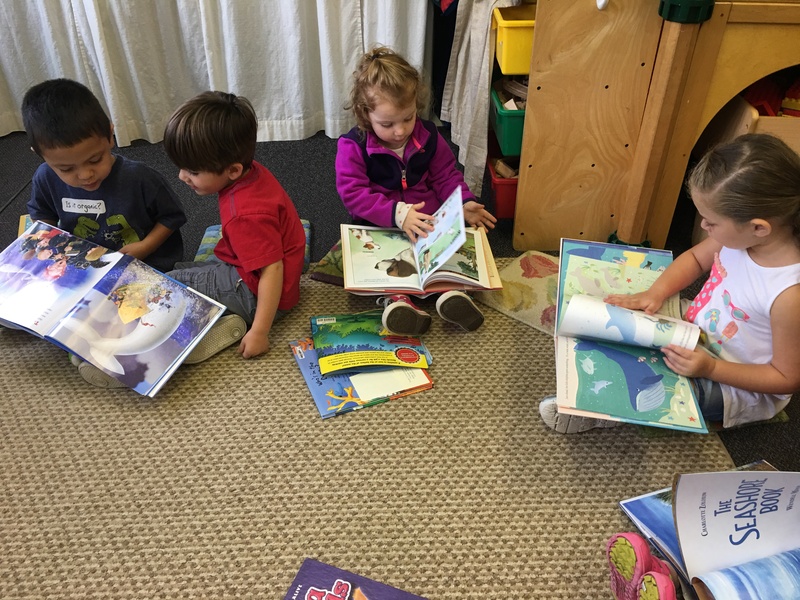 When the child falls in love with hearing the words, let the child read on their own – even if they cannot yet read – in the classroom and at home. SSR in my classroom includes teachers as well as the children. We need to be their role models. Used by permission of the author, Jim Trelease, 2013, The Read-Aloud Handbook (Penguin). 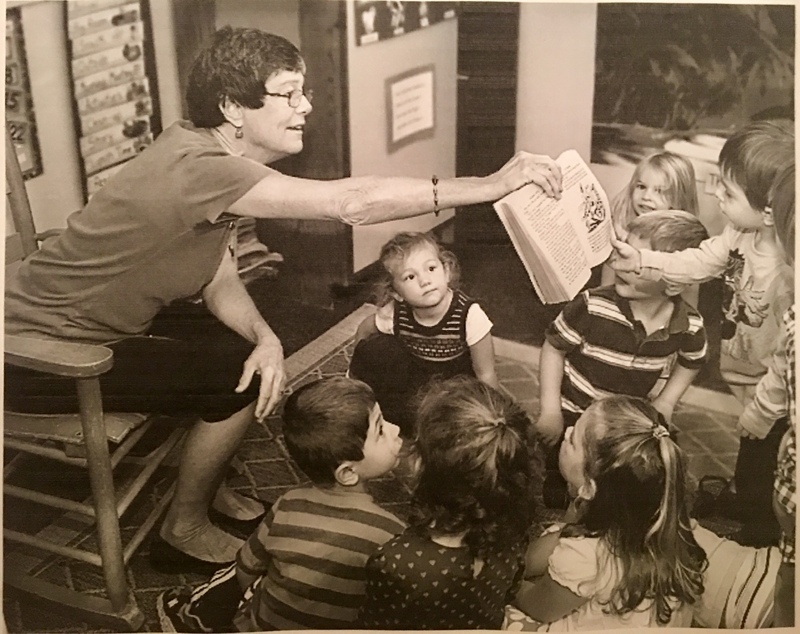 This entry was posted in books, children's books, Early Education, Imagination, Inspiration, Jim Trelease, reading, reading aloud, reading aloud, Teaching young children and tagged Early Education, Jim Trelease, language development, Learning to read, preschool, reading aloud, SSR, Sustained Silent Reading, The Read-Aloud Handbook. Bookmark the permalink. He is the brightest child in the class, doesn’t miss anything. Best to you, Pete. Reading is the essence Jenny!! You’ve got it!! It certainly is. Thank you, Opher. Thank you, Jennie, for this fabulous blog post. You are welcome, Eric. So glad you liked it! Another informative post about the importance of reading. Enjoyed the video clip. Thank you for this informative post, Jennie. My grandson is in kindergarten, and I know that the next few years of reading are going to have a huge impact on the rest of his life. I want to do everything I can to help him along that road. 🙂 And what a wonderful road it is – paved with books! I spend so much time telling parents about that need for vocabulary when entering kindergarten. They don’t believe me! I should really just photocopy the study and go around handing it out! A good idea! I started to write newsletters to parents. I would take parts of the book (like I did in the blog post) and keep telling them, over and over. Thanks, AJ! I found this information very interesting. Thank you for sharing it. You’re welcome, Marlene. I’m glad you liked it! I love hearing this, Becky! Beverly Cleary is one of the best. And when you read along, too, that sends a big message to the students. Thank you! You’re doing a lot of good here, Jennie. I can’t help but think how lucky the parents of these children are to have you as their teacher. I smile in my heart when I read this and also when I had the little ones (preschoolers and kinders), neither who could really truly read yet, I had so much fun calling them up to the front one by one to “help me read the story.” The aids looked at me strangely. Was I nuts? Nope! As they came to the front, I asked them to tell their name to the class and then they each took a bow as they began to “read” their page. I put my hand over each child’s hand and helped them point to the word while I said the word and they attempted to say it too. They went back to their seats so proudly when each one finished. I ended the reading by saying, “Boy, we have some good readers in here.” While I have no proof that it worked, it certainly did not hurt anything, and it was fun for the children to believe that they could read their page. And hopefully, when they look at a book in the future, they will believe that they know how to read and move forward with it. I used to teach illiterate adults how to read and I will always remember how if they thought that they could read, they would learn much more easily. I had a lot of adults who had been all the way through Junior College who could not even read at the third grade level, so I taught them a lot more skills than reading alone, but that was always the main focus. I remember how one boy who was a juvenile delinquent was so serious about his reading, and he was always on time for his lesson. It is such a terrible thing to have people who cannot even read at the most basic levels. Do you realize how limiting that is? So yes, thank you, Jennie, for giving the children as much reading as you can in the years that you have them to work with. I am sure you are changing their futures for the better in more ways than one. You are one of my genuine heroes. Your stories are empowering! Of course you made a difference in helping those children read. Even if they couldn’t read the words, you gave them the “I can” feeling, and that is a big part of learning to read. Thank you for your kind words, Anne. Love and regards to you as well! Great post, Jennie. Of course, you knew I’d agree. We used to do USSR – Uninterrupted, Silent, Sustained Reading. Some also call it DEAR – Drop Everything and Read. As well as all the ingredients mentioned in the acronym, it needs to include an element of choice. Children must choose what they read, whether they can read the story in words or in pictures. The other necessary ingredient is one you mention – everybody must read, not just the children. Teachers must model good reading practice to the children. I always loved this time for catching up on my own reading. We did it every day for a minimum of ten minutes. We all loved it. After, we would form a sharing circle and talk about the books we had read. Sometimes children would retell the story, or talk about what they liked. Those who could, would often read a section, some would even ‘read’ the stories they knew by heart. It was a daily celebration of literature, language, books, and us! I loved seeing the engagement of children in your class, Jennie. The love of books and reading is one they will carry with them throughout their lives. Whether they continue to be readers or not, they will remember these moments of joy. I do feel the same, Jennie. At one school, in the 80s, USSR was school-wide. A bell rang to tell everyone to stop and read. We (the children and I) never wanted the finishing bell to ring. I guess it was up to individual teachers how (and if) they ran it. I know some used the time to catch up on work, which was really counter-productive. Although it wasn’t school-wide anywhere else I taught, it was always an important part of my program. I can picture you and the children when that finishing bell rang! If it were implemented school wide, everywhere, it would be the best 10 minutes, universally. It’s funny, I learned a new word earlier today, reading a comment on one of my blog posts. I connected reading to doing well in school, but I never made the connection to vocabulary and learning. That makes perfect sense. Exactly! The vocabulary is what makes the reader, thus the learner. Thanks, Dan. Jennie, once again you hit it out of the park! You are teaching so many beyond your classroom! May we post to our website? I truly hope Jim responds. I am growing very concerned. Thank you, Mary Kay! I would be so happy if you posted this on your website. Teaching beyond the borders of my classroom is a great thing. I feel the same way about Jim. I think I will call next week if I don’t hear from him. Have you emailed? Wonderful advice and supporting facts and information, Jennie. I used to read to Michael and buy him audio books to listen to before he could read proficiently on his own. Such a well written post Jennie. We tend to undermine the importance of reading. I wish every child gets a teacher like you. Here is another wonderful post by the excellent teacher, Jennie! Jennie, thank you so much for this post! You are welcome, Charles! I knew this was right up your alley. When you read the statistics of twelfth graders, the year before they come to you, it’s terrible. Of course not. I typed a happy face emoji. Yikes! I looked back at the comments, and that’s what I see on my computer. How terrible that you got a frown/sad emoji. I’m so sorry, Charles. Jennie, it is ok. I thought I did something to upset you. Whew! Never have you done anything to upset me, Charles. I agree on the importance of a large vocabulary for beginning readers—they need to know all the words that they might encounter in learning to read. But by middle school, their reading vocabularies should be far larger than their speaking vocabularies, and even than their listening vocabularies. Yes, they should. If that were the case for all children, reading would be a natural and pleasurable experience. Children would read! Thank you, Michael. I’m glad you liked it. Best to you! When I was learning to read and write, I remember “hearing” a rhythm in my head that voice and pen could follow like music…I recognize that now as the same rhythm I heard when stories were being read to me… One and the same, I am thinking! When my daughter was in elementary school each day everyone(teachers, administrators and all)read for 20 minutes each day. Here also a dog goes around our schools and kids get to read to the dog. Wonderful!! Imagine if every school did this. Dogs are the latest and greatest addition to reading. Many public libraries have one come in for children to read to. It works, especially for the reluctant readers, and children love it. Thank you, Elizabeth. You are welcome. Love reading about reading! Thank you. You always give the best and most sensible advice 👏. If only more parents would use your experience to help their children.